Mechanical draft cross flow cooling towers are generally used in a large-scale water cooled condenser based air-conditioning plants for removing heat from warm water which comes out from the condensing unit. During this process considerable amount of water in the form of drift (droplets) and evaporation is carried away along with the circulated air. 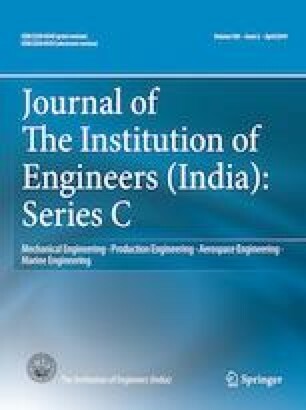 In this paper, the performance evaluation of a standard cross flow induced draft cooling tower in terms of water loss, range, approach and cooling tower efficiency are presented. Extensive experimental studies have been carried out in three cooling towers employed in a water cooled condenser based 1200 TR A/C plant over a period of time. Daily variation of average water loss and cooling tower performance parameters have been reported for some selected days. The reported average water loss from three cooling towers is 4080 l/h and the estimated average water loss per TR per h is about 3.1 l at an average relative humidity (RH) of 83%. The water loss during peak hours (2 pm) is about 3.4 l/h-TR corresponding to 88% of RH and the corresponding efficiency of cooling towers varied between 25% and 45%. The authors express their sincere thanks to IIT Guwahati, Sterling and Wilson Company private Limited, Kolkata Branch and Trane Company private limited, Kolkata Branch for providing the necessary technical support during the experiment.